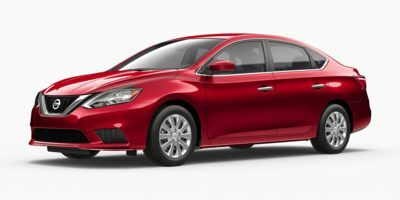 Gun Metallic 2017 Nissan Sentra SV FWD CVT with Xtronic 1.8L 4-Cylinder DOHC 16V CVT with Xtronic, Charcoal w/Cloth Seat Trim, ABS brakes, Electronic Stability Control, Illuminated entry, Low tire pressure warning, Remote keyless entry, Traction control. Before you buy give us a try! Odometer is 22182 miles below market average!